Call 211 or text “homeless” to 85511. Learn more about how you can get help from Range Transitional Housing (RTH). 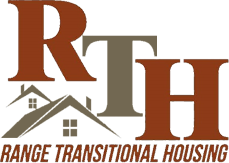 Range Transitional Housing, Inc. (RTH) is a 501 (c) (3) non-profit organization that provides transitional and permanent supportive housing to homeless households in northern St. Louis County, MN. Currently, RTH uses the St. Louis County Coordinated Entry System, which is the entry point for individuals and families in need of housing. Each week local agencies in Northern St. Louis County fill program openings with people who are registered on the Coordinated Entry list. Anyone who is currently homeless will first need to contact 211 to schedule an assessment. RTH works predominantly with homeless populations, but the agency also helps those that are at risk of becoming homeless. RTH administers a variety of housing programs to help those currently homeless or at risk. Learn more about how you may qualify for the furniture program or how you can donate.